We are helping a friend sell his extremely nice 1990 300ZX-GS. His nephew bought it new and when he passed away, he left it to our friend. The 69,593 miles are actual and the condition of the car reflects that. The car has spend a great deal of time in the garage and the condition of the paint confirms that. I don't think you will find a cleaner interior if it were a 2017 model, and the tires are almost new, with at least 95% tread left. You can click on the Auto Check Icon for a free vehicle history report. If you have any question you can email us at shippmotors@aol.com and I will get you the answer. If you prefer you can call the owner Eddie Hill direct at 903 278-9386 with any questions or to make him an offer. 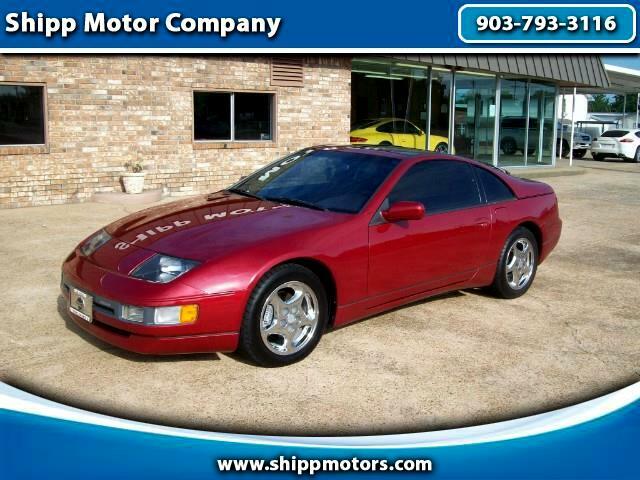 Visit Shipp Motor Company online at www.shippmotors.com to see more pictures of this vehicle or call us at 903-793-3116 today to schedule your test drive. We do not handle any financing, however we will work with any bank, credit union, or financial institution of your choosing.